Post news Report RSS	New Trailer, Graphic Updates, and More! We are very excited to announce our new trailer with updated graphics and new content. 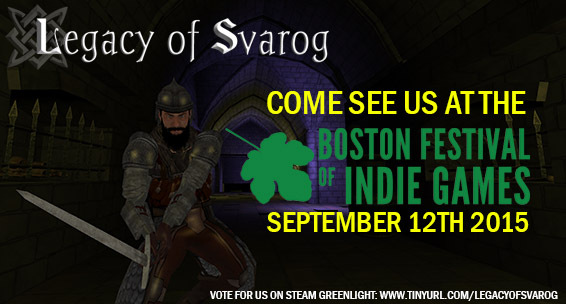 We will be attending the Boston Festival of Indie Games on September 12th with an all new demo which will include the updated dialogue system as well as our in-depth sword fighting system. Click to learn more! We are very excited to announce our new trailer with updated graphics and new content. It shows combat and dialogue for both Yaroslav and Vasilisa showcasing just how different the two available characters play. The video features the completed Kazakrom Stronghold which serves as your home base of operations in the game. Here is where you will buy and upgrade your weapons, send your companions on missions and investigations, and hone your skills ...or get drunk all day. The choice is up to you. Come Meet us and Play Legacy of Svarog! We will be attending the Boston Festival of Indie Games on September 12th with an all new demo which will include the updated dialogue system as well as our in-depth sword fighting system. Our booth will have multiple computers for you to try out the game. You will be able to play as either Yaroslav or Vasilisa depending on your dialogue choices in the story. No "pick your character" menu here. Because the choices you make really do make a difference. Keep an eye out for our Kickstarter Campaign coming in the next few weeks. 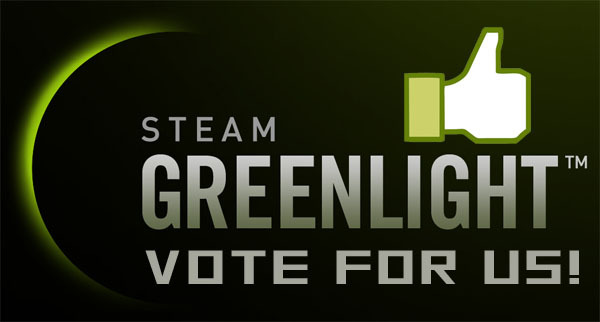 Don't forget to also Vote for us on Steam Greenlight! We'd love to hear your questions and comments! Let us know what you think! The trailer is nice, but the music is a bit generic and the font and UI seems a bit too amateurish....especially with all those colors. Thanks for the comment. The music is just placeholder for now. We are having new music written for the actual game that is being composed right now, you will be able to hear some of it in our upcoming demo next month. UI is not complete yet. We are still in pre-alpha phase but there will be a lot of polish going forward so keep checking back.